local leaders in the global debate on inequalities in a number of events. The theme will be how cities can harness public sector, social and digital innovation for inclusive growth. Event page Agenda Who's coming? 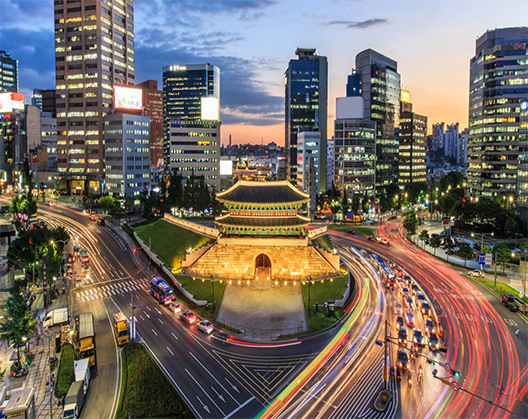 Organised jointly by the OECD, C40 Cities Climate Leadership Group and Seoul Metropolitan Government, the 3rd meeting of the Champion Mayors for Inclusive Growth took place in Seoul, Korea on 19 October 2017 in the presence of Mayor Park Won Soon and Mayor Anne Hidalgo. The second meeting of Champion Mayors for Inclusive Growth took place in the presence of 26 Champion Mayors from around the world. The Champion Mayors launched the Paris Action Plan for Inclusive Growth in Cities, which outlined a series of concrete policy actions for overcoming urban inequalities. 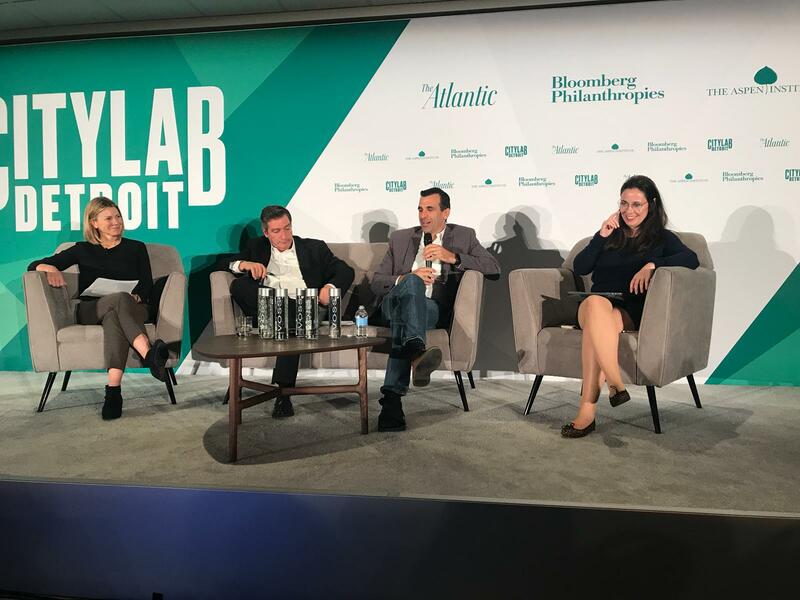 Alongside Mayor Bill de Blasio and 20 Mayors from around the world, the launch convened leaders from business, philanthropic organisations, associations of cities, think tanks and international institutions. The event marked the launch of the New York Proposal for Inclusive Growth in Cities. 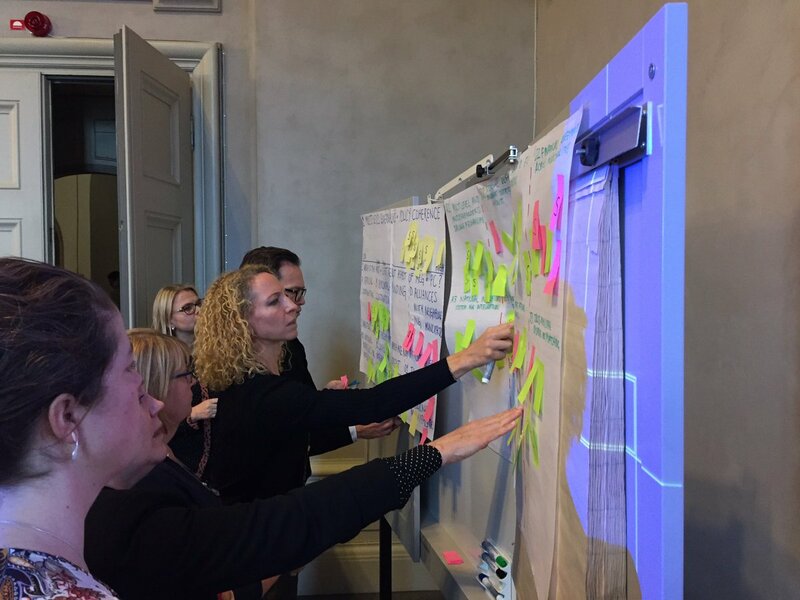 With participation from the cities of Stockholm, Milan, Hamburg, Berlin, Helsinki, Malmo and Gothenburg, the OECD Champion Mayors team and the City of Stockholm hosted their first workshop on effective solutions for migrant integration in cities. In recent years, Stockholm has received a large number of migrants and the city is now working hard to develop and establish new structures and working methods. The overall goal for the integration work and the reception in the city is to create good conditions for new residents in Stockholm to promptly establish themselves in the labour market, housing market and in society. The workshop was structured around findings from the OECD report, Working Together for Local Integration of Migrants and Refugees. The OECD served as an advisory partner to the Urban 20 in Buenos Aires, Argentina. 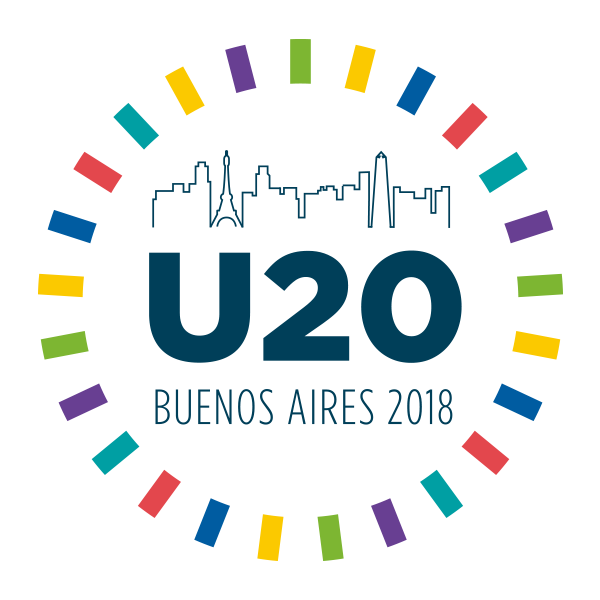 The U20 was developed in 2017 under the leadership of two Champion Mayors- Horacio Rodríguez Larreta of the City of Buenos Aires, and Anne Hidalgo of Paris. The first Urban 20 Mayors summit served as a dialogue between global cities and the G20, seeking to collaborate and enrich the G20 agenda with an urban perspective. We were joined by our Champion Mayors from Athens, Braga, San Jose, Stockton and Utrecht. 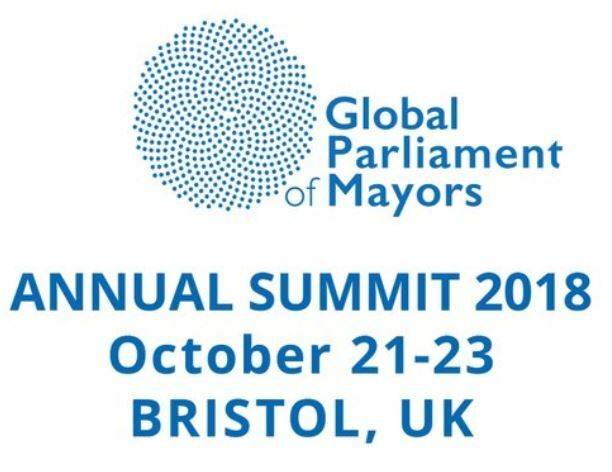 The GPM Annual Summit 2018 brought global city leaders, networks and international experts, including the OECD and several Champion Mayors, together to discuss city leadership and key global challenges at a local level. A special thanks to California Champion Mayors Ted Winterer (Santa Monica, USA) and Michael Tubbs (Stockton, USA), who shared the bold, innovative, and inclusive measures they are taking to address climate change during the OECD’s official affiliate event, Bridging the climate and inclusion agendas in cities: A conversation with OECD Champion Mayors. 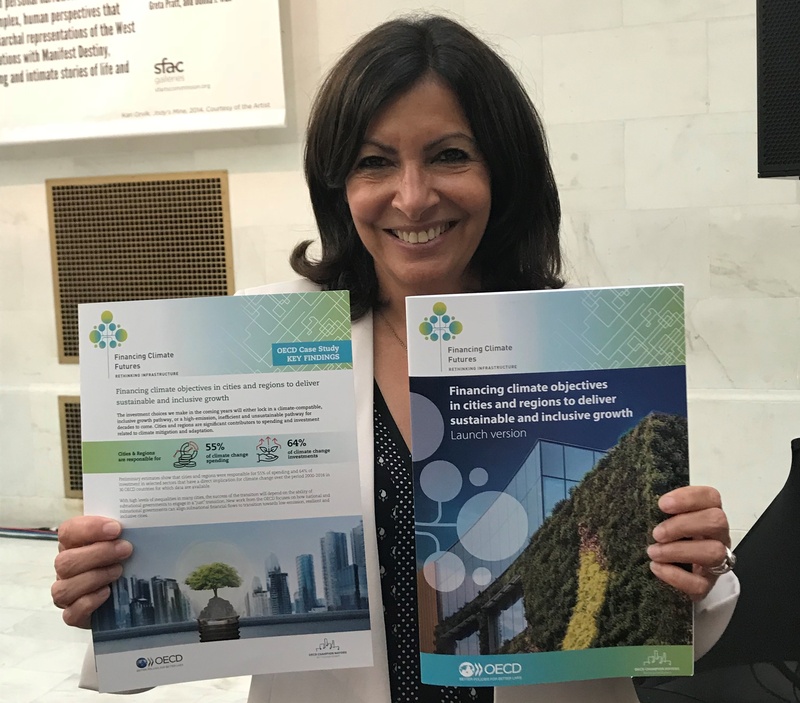 The OECD released key findings from a forthcoming study, Financing climate objectives in cities and regions for inclusive and sustainable growth at the Global Climate Action Summit in San Francisco (United States). Between 2000-2016, cities and regions in 30 OECD countries were responsible for 55% of spending and 64% of investment in selected sectors that have a direct implication for climate change. 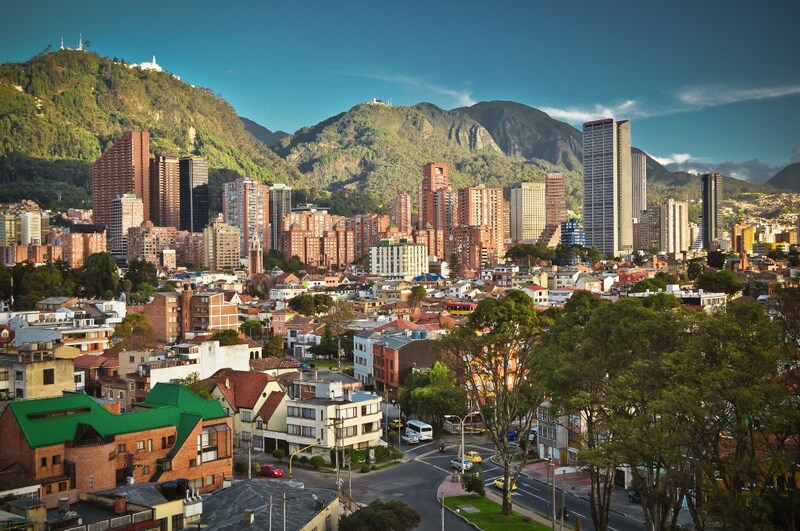 With high levels of urban inequality, the success of the low-emission transition will also depend on the ability of subnational governments to engage in a just transition. The study is a part of the Financing Climate Futures: Rethinking Infrastructure project, a joint initiative of the OECD, UN Environment and the World Bank Group. Climate change damages are poised to have a disproportionate impact on populations that are already vulnerable: low-income households often have increased exposure to climate risks and hazards and a higher susceptibility to damages from climate change; they also have a lower capacity to recover from damages, as they often lack access to insurance systems and safety nets. Many local policies for climate change and environmental sustainability are applying explicit equity and social inclusion lenses. 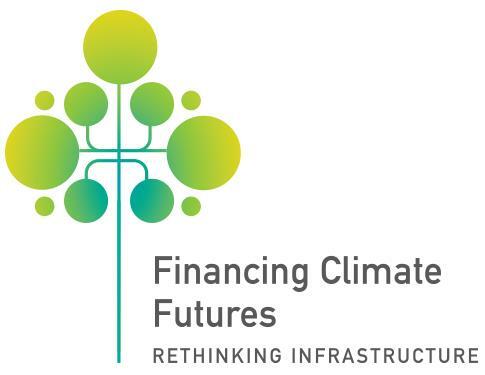 This webinar was organised as part of the OECD Champion Mayors for Inclusive Growth initiative and contributes to the joint OECD-World Bank-UNEP project, Financing Climate Futures: Rethinking Infrastructure. Experts from the OECD and the cities of Paris (France) and Los Angeles (USA) discussed the need for an inclusive growth lens into climate change-related activities. This seminar contributed to a larger project the OECD is conducting with UN Environment and the World Bank Group with support from the German government on Financing Climate Futures. The project will identify how we scale up from incremental responses to climate change to transformational ones. The Paris Agreement has provided great momentum, and although commitments were made at the national levels of government, coordination and cooperation and action at the local level is necessary to reach global climate targets. This session highlighted how important it is to engage cities and how big a role they play in the financing and investment of climate change response. The 2018 OECD forum reflected on what brings us together, moving from diagnosis to action, and shaping solutions to build these much-needed bridges. 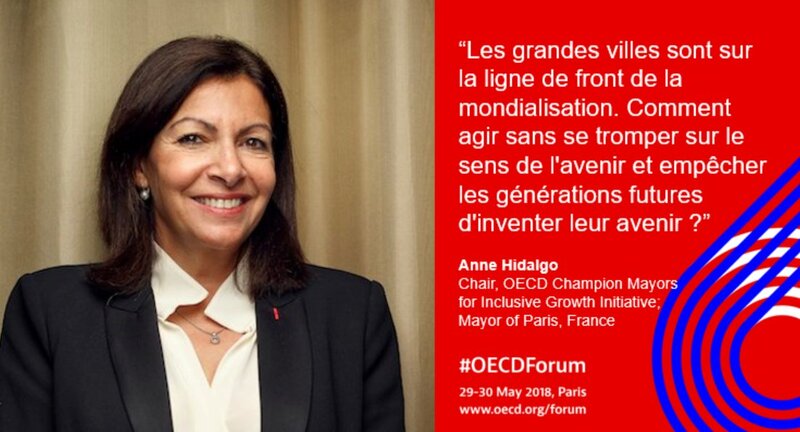 The Chair of the OECD Champion Mayors and Mayor of Paris, Anne Hidalgo, opened the 2018 forum by focusing on how policy makers can act to ensure future generations benefit from globalisation. 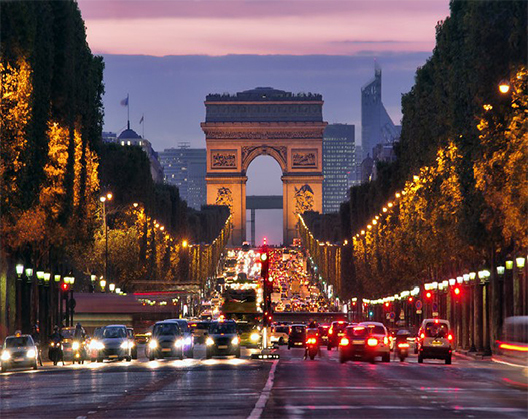 Read more on what Mayor Hidalgo is doing to make Paris a more inclusive city. 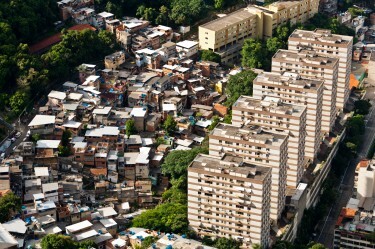 Land use policies, access to public services, decisions about where to build affordable housing, historical practices, as well as entrenched social and economic exclusion have shaped the spatial development of cities by influencing how and where resources are allocated and investments deployed. 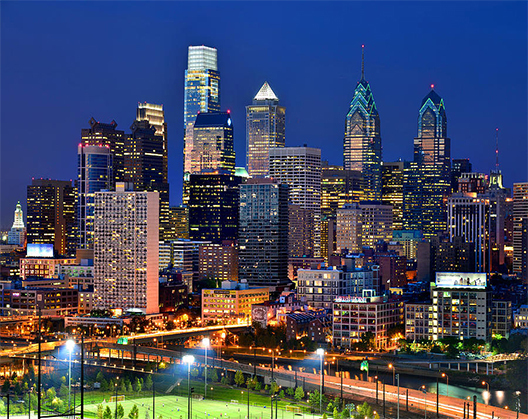 For fortunate residents, the structures and systems in place enable them to access hubs of economic activity, reside in neighborhoods with quality housing in high opportunity areas, and access vital public services and amenities. For those who are less fortunate, it means dealing with social and economic isolation, living in neighbourhoods plagued by poverty and disinvestment, and in areas more susceptible to climate-related events. 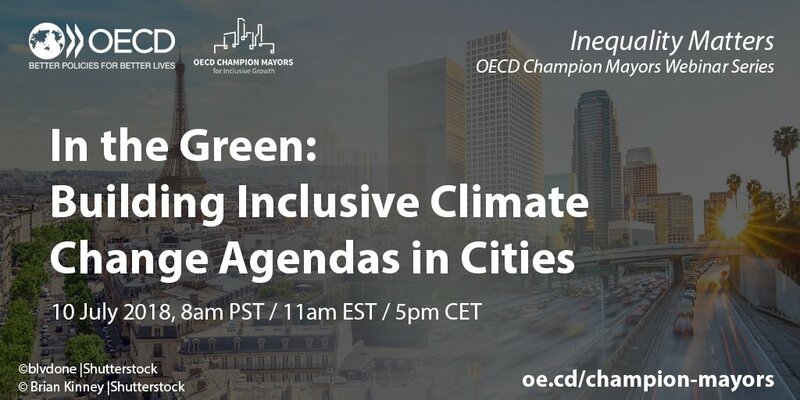 This webinar was organised as part of the OECD Champion Mayors for Inclusive Growth initiative in partnership with the Lincoln Institute of Land Policy. Findings from the OECD report, Divided Cities: Understanding Intra-Urban Inequalities, set the scene by providing a set of comparable income segregation indicators across city jurisdictions. Mayor of Seoul, Park Won-soon shared his experience in “WEconomics” as the basis for a more inclusive approach to economic development policies. WEconomics is about getting rid of the obsolete, outdated economic paradigm. WEconomics is about diversifying the economic players. WEconomics is about restoring the values that have been neglected in the past. No one should be forced to make a sacrifice for another’s growth and success. And the resources and opportunities of the next generation should not be wasted for the sake of the advantage and wealth of the current generation. All values – economy, labor, welfare, environment, human rights, community, and so on – should be upheld in a balanced and harmonious manner. That was how the Seoul Metropolitan Government and the OECD came to cooperate on the Champion Mayors for Inclusive Growth initiative. 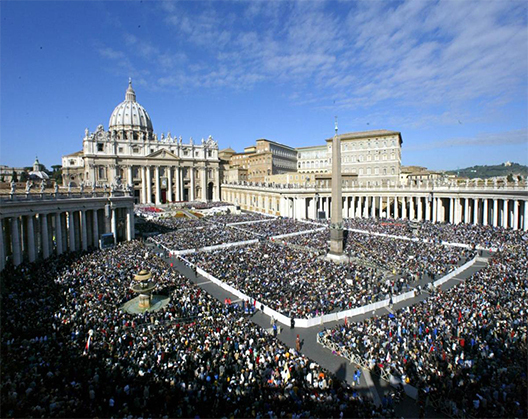 The OECD participated in the European Summit: Refugees are our Brothers and Sisters, hosted by the Pontifical Academy of Sciences at the Vatican. The event, drawing mayors and local leaders from more than 50 cities, many of whom are Champion Mayors (Paris, Madrid, Brussels, Lisbon, Leipzig), was a call to action among local leaders for a more integrated, human-centred response to welcoming and integrating refugees in local labour forces and communities. The OECD contributed to the session, “Sustainable Cities for All: Increasing Social Equity through Climate Action” at the C40 Mayors Summit: Cities Leading Climate Action. The session showcased the vision of mayors and partners, such as the OECD and the Citi Foundation, who are taking an inclusive approach to climate action, providing examples of climate initiatives that also address inequality and provide broader social benefits. A seminar organised jointly by the OECD and the C40, “Towards Win-win Policies for Inclusive, Green Cities,” was held on 10 November as part of the OECD Green Growth and Sustainable Development Forum. Experts shared their views on the emerging challenges and potential opportunities to boost inclusion and achieve green and low-carbon growth in cities. 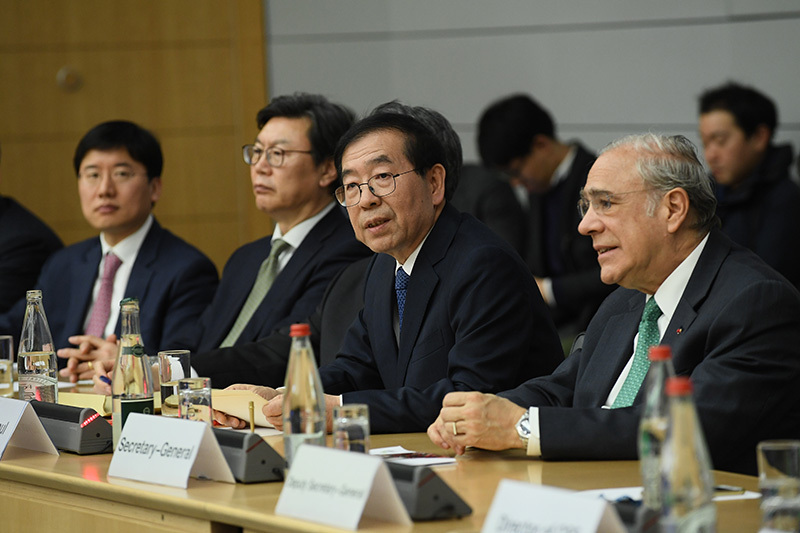 OECD Secretary-General Angel Gurría gave a keynote address in the Economic Democratisation Conference organised by Seoul Metropolitan Government, followed by remarks from Champion Mayor Park Woo-soon. 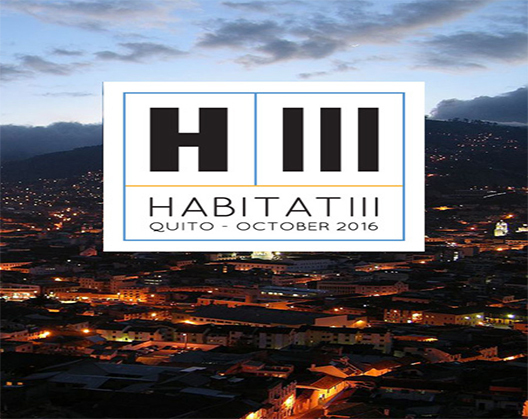 The OECD, in partnership with the Ford Foundation, organised two side events relating to the Champion Mayors for Inclusive Growth initiative at UN-Habitat in Quito. Discussions built on the New York Proposal for Inclusive Growth in Cities, focusing on several key policy areas (education and skills, labour markets, housing and transport, and public services) and helped inform the Paris Action Plan. Both sessions presented findings from the OECD report, Making Cities Work for All, which provides policy makers with new data and a series of concrete policy recommendations to advance inclusive growth in cities. 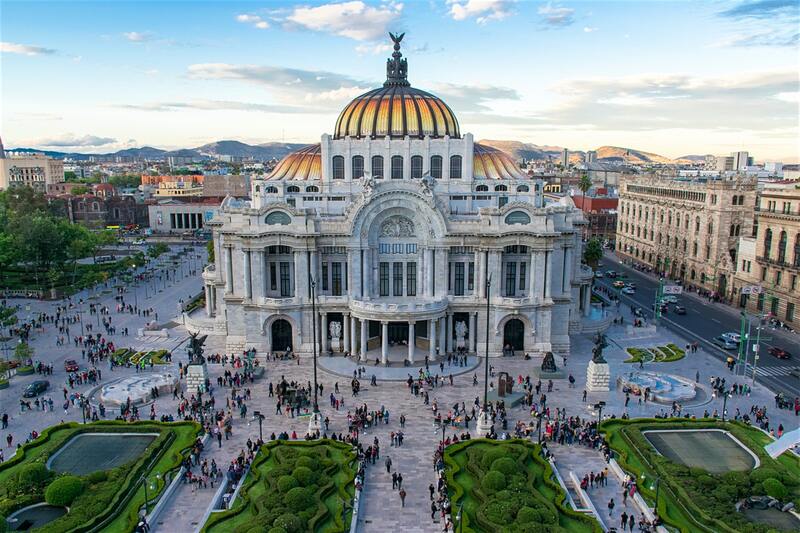 The OECD, in partnership with the Ford Foundation and UCLG, organised a workshop, “Laying the Path for Inclusive Cities: Affordable Housing, Accessibility and Urban Development” as part of the 5th UCLG World Summit of Regional and Local Leaders. This workshop engaged leaders from the global coalition of OECD Champion Mayors for Inclusive Growth initiative in a conversation about concrete strategies for building more inclusive urban environments. The session also launched the OECD report, Making Cities Work for All, which provides policy makers with new data and a series of concrete policy recommendations to advance inclusive growth in cities. 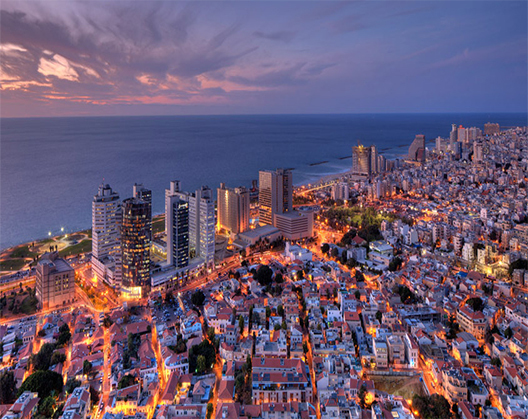 Deputy Secretary-General Doug Frantz participated in the Tel Aviv Cities Summit on 26 September, highlighting how cities can be places of opportunity and lift people out of poverty. 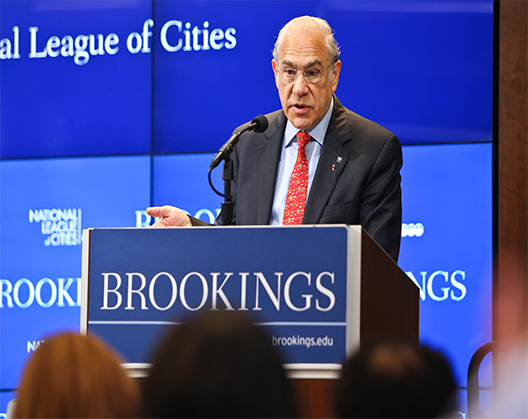 The Brookings Institute, in cooperation with the National League of Cities, hosted “Inclusive Growth in Cities: A Conversation with OECD Secretary-General Angel Gurría”, followed by a high-level panel of public and private leaders from cities across the U.S. working to develop more inclusive cities. 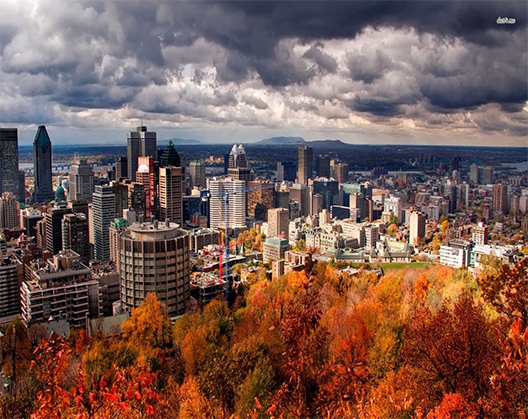 The OECD Secretary-General joined Champion Mayor Denis Coderre of Montreal (Canada) to launch the OECD report, Montréal : Métropole de Talent, and discuss how the city can deepen its efforts towards inclusive growth.